T he World Cup only comes around once every four years, making it a perfectly justifiable excuse to day drink and watch a lot of TV from June 14 to July 15 this year. Unfortunately, Team USA isn’t vying for a title this time, but don’t let that stop you from scouting a spot at the bar to watch Russia host 31 other teams from around the world. The time difference from Moscow to Minneapolis is about eight hours, so prep for some late nights and early mornings with pub grub and pints. We’ve been doing some recon to scope out the best bars in the Twin Cities to watch the World Cup this summer, and even checked in with sportscaster John Strong, who's part of the FOX World Cup broadcast team for his Twin Cities picks, too. Since it’s early yet, be sure check back for updates on opening times and food and drink specials. OK, so Ireland is also out of Cup competition, but that doesn’t mean fans can’t party like it’s St. Patrick’s Day. Fans of Manchester United, Bayern Munich, Everton, and Arsenal FC have gathered here in years past, and many days the bar opens early just for football fans. The Local offers good grub specials and $4.50 Guinness, Newcastle, and Heineken pints, plus pours the largest volume of Jameson in the world, which is reason enough to stop by for the Cup. Nomad is the little brick pub that could when it comes to catering to true football fans. With nearly all Premier League matches and select Champions League matches shown during the season, the World Cup is the crown jewel in the bar’s already busy soccer schedule. We think it’s no coincidence it’s also home to the “Midwest’s largest free toast buffet,” as you’ll need some carbs between your morning Bloody Mary and afternoon beers during back-to-back games. 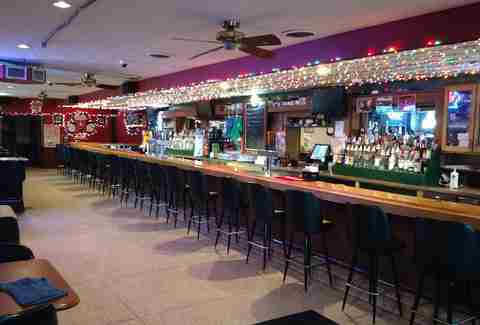 Merlins is a beloved dive bar and neighborhood haunt a bit off the beaten path with lots of character. They're also a bar that celebrates the four “isles”: England, Ireland, Scotland, and Wales. As such, they will most definitely have the Cup on. 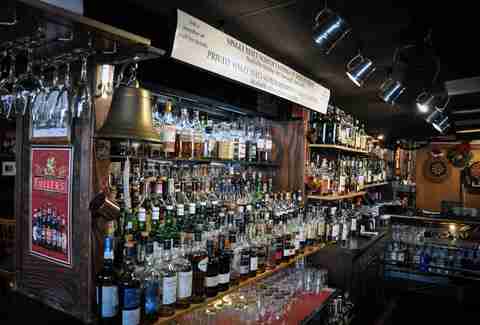 While you're there you should order a single-malt; they boast one of the best scotch menus in the region. You can almost close your eyes at Brit’s and imagine you’re in England instead of downtown Minneapolis... especially at World Cup watch parties. 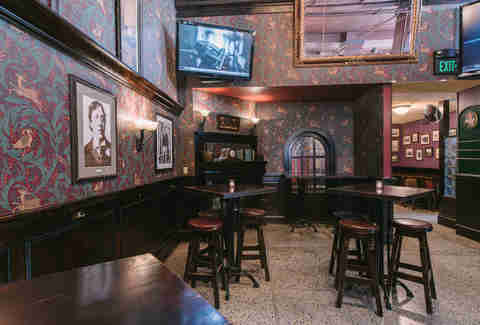 Brit’s brings drink specials like $4.50 Strongbow, Guinness, and Heineken pints along with free parking before noon on the weekends, a coveted Downtown amenity. When the weather suits, The Cup will also take over the pub’s more than 10,000-square-foot rooftop lawn with games shown on a large projection screen and outdoor TV’s. If your idea of “watching” the World Cup is occasionally glancing at a TV over the shoulder of your significant other and you’re a dog person, Sisyphus has you covered with The World Pup Cup. Ahead of the games, on June 9, the brewery will bring two teams of “free agents" -- aka puppies from local animal shelters -- to compete in a friendly soccer game. Afterwards, all the dogs will be available for adoption. The event is sponsored by the Minnesota United supporters’ group, Dark Clouds. Oh, and the real Cup will be on, too. Kieran’s touts itself as Minneapolis’ “official” US soccer bar. We’re not quite sure how they got this designation, but even though Team USA isn’t competing in the Cup, Kieran's will be packed at match time. 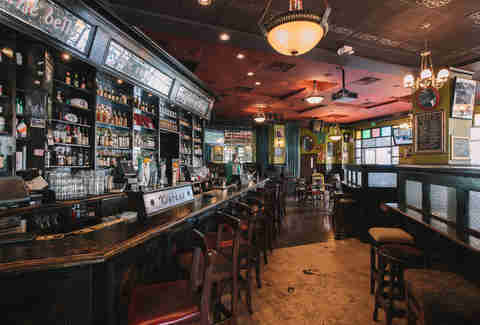 Known for lots of Irish whiskey -- 23 different kinds, to be exact -- this is the perfect place to drown your sorrows if you’re a serious Team USA fan. This bar, named after the emblem of the former Soviet Union, is not typically a sports spot. However, with Russia hosting the Cup this year, its TVs will sporadically show the games -- and definitely when the motherland is playing. Order a plate of pierogies, a Moscow Mule, and a caviar flight, and pretend you left the country to watch the matches live. 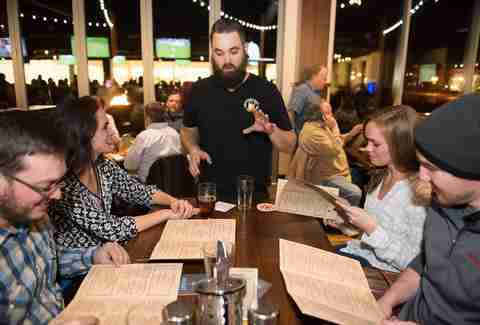 This Hennepin hangout is always packed during Timberwolves games, with walls of TVs, a super-open layout, and more than 90 craft beers on tap. Probably best known as a place to watch basketball, it’s a lesser-known fact City Works televises Premier League soccer matches throughout the year, as well as non-mainstream international games, so they’ll definitely have the Cup. Who would have guessed a spot so close to Target Center had some serious soccer game? If you live west of the city, look no further than Jake O’Connor’s to have your back with hard-to-find Cup matches. 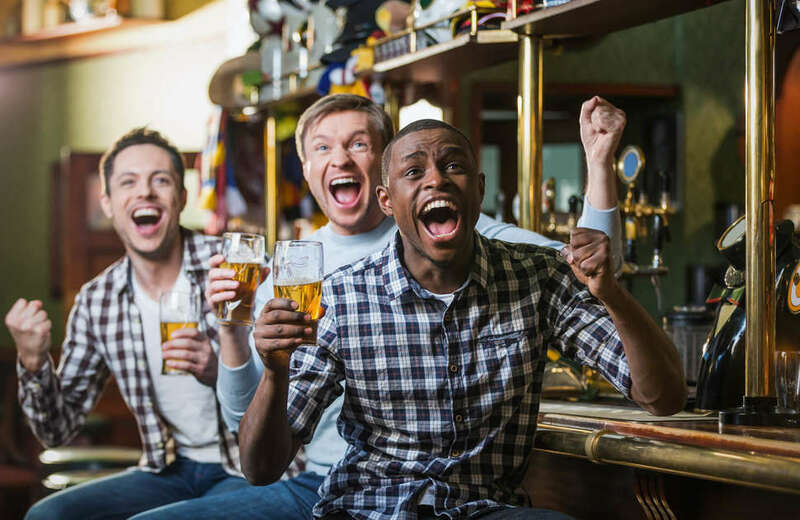 With 50-inch TVs, one 100-inch TV, and match time drink specials, it’s your best bet for a place to go cheer on (civilly, mind you; it’s in Excelsior) your favorite international team without having to hop on the highway downtown. 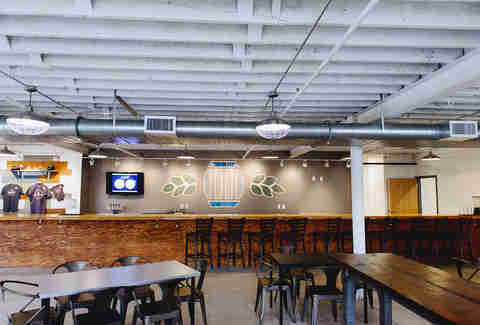 Crooked Pint is known for being close to US Bank Stadium, having a massive space, and tons of TVs. But, a little-known fact is they’re also the “official” bar of the American Outlaws, an unofficial supporters’ association for the US Men’s and Women’s national teams that ESPN once called a “raucous group.” You’ll be able to catch the Cup, sip on nearly 30 craft brews on tap, and maybe even watch things get a little rowdy during close matches. Town Hall was a brewery before breweries were trendy. If you’re looking for a chill, no-frills place to catch the Cup where no one will yell at you for taking up a table by yourself, this is it. During the season, Town Hall shows every MNUFC match, and current and former Loons players stop by often. For the Cup, Town Hall will offer $3 select pints during each match along with app specials. This dive bar is best known for two things: its bocce ball courts and the fact it made an appearance in the movie Grumpy Old Men. Somehow, both of these things draw people here, as well as the fact that they’ve shown the World Cup for as far back as anyone recalls. With more than 20 beers on tap, the Twin Cities Burger Battle Champion title, and some good old-fashioned service, it’s the best bet east of the river to catch all the action. Right on Hennepin, Mackenzie advertises itself (literally, with a sign) as an “American bar with a Scotch flavor,” and so naturally, they’ll have the Cup. 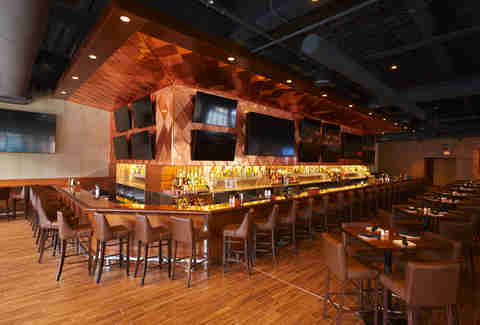 Forty-two-inch TVs, a massive craft beer selection, and traditional Scottish fare like Scotch eggs make this an ideal spot to stop over your lunch hour or after work to catch up on the day’s upsets. Jenna Bennett is a writer for Thrillist who played soccer as a child and once scored on her own team. Follow her on Twitter and Instagram @jennasbennett.